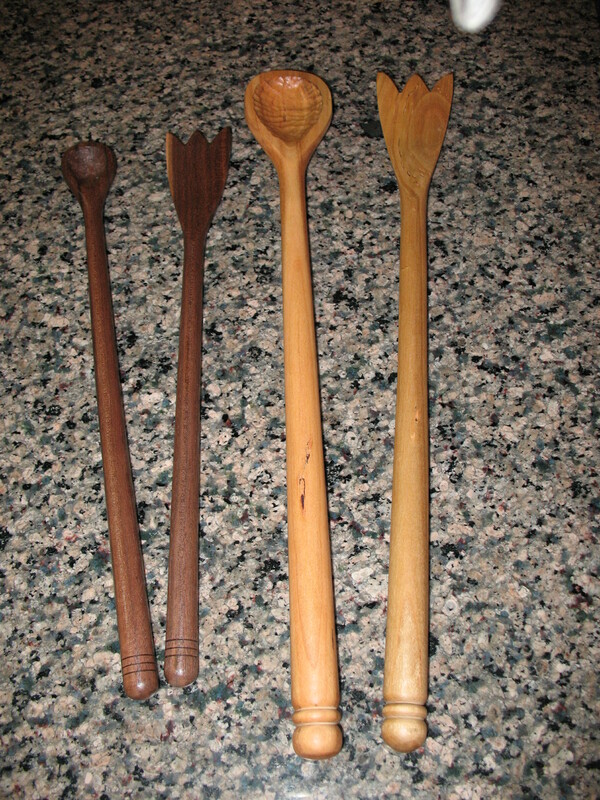 I’ve been turning and carving spoons for several years. I make these spoons from wood that I have riven straight from the logs of native hardwood trees. I finish them with a product called Tried and True, which is a completely food safe finish made from linseed (flax seed) oil and bees wax. 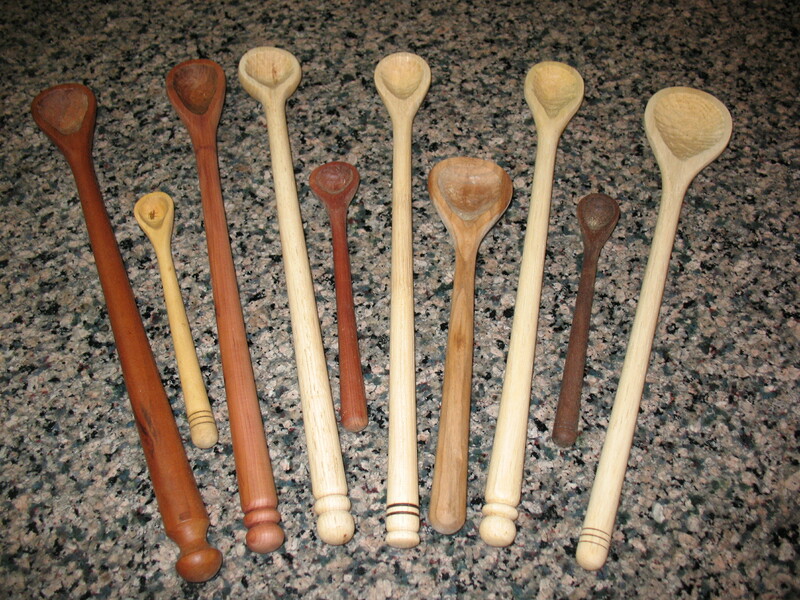 If the spoons are washed and dried right away they retain their beautiful grain and color for a very long time. Putting any hand made wooden item in the dishwasher is pretty close to putting it in the wood stove. I make salad serving sets, which have matching handles. One of the spoons is carved into a fork.